The tale of an unlikely hero who finds himself on a life-changing journey alongside a wisecracking donkey and a feisty princess who resists her rescue. “Once upon a time, there was a little ogre named Shrek….” And thus begins the tale of an unlikely hero who finds himself on a life-changing journey alongside a wisecracking Donkey and a feisty princess who resists her rescue. Throw in a short, short-tempered want to-be-king, a sassy dragon and over a dozen other funny fairy tale misfits, and you’ve got the kind of magical mess that calls for a real hero. Luckily, there’s one on hand… and his name is Shrek. 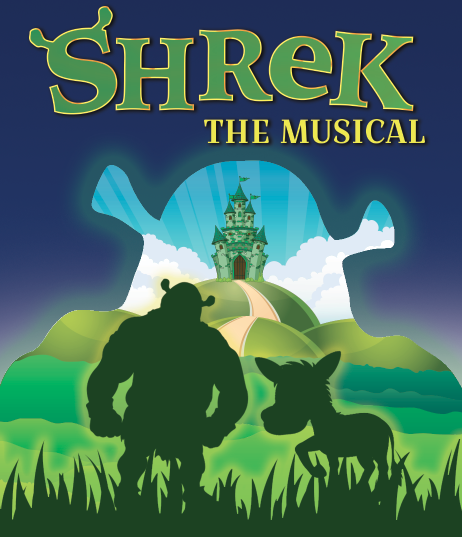 SHREK THE MUSICAL opens March 8 and runs through March 31, 2019. Performances will be at Albuquerque Little Theatre, 224 San Pasquale SW. Curtain times are Fridays and Saturdays at 7:30 PM, and Sundays at 2:00 PM. There will be an ASL Interpreted Saturday matinee on March 16 at 2:00 PM and a Thursday performance on March 21 at 7:30 PM.